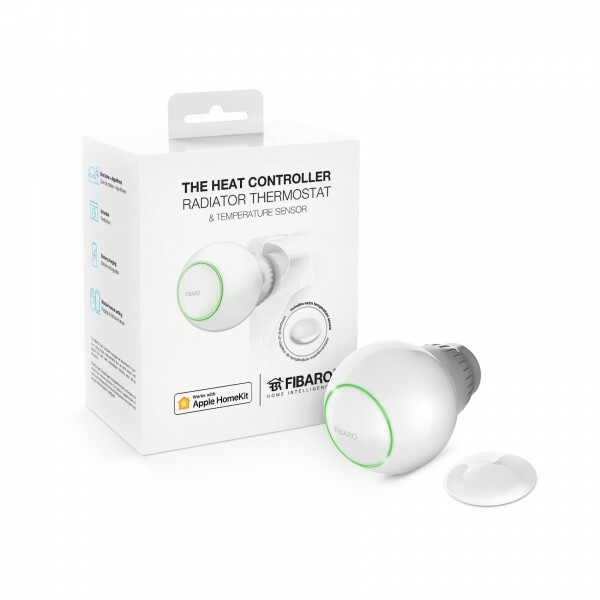 Product information "FIBARO Starter Pack Heating (Heat Controller + Temperatur Sensor)"
The FIBARO Heat Controller Thermostat Starter Kit contains a Heat Controller Thermostat Head with ergonomic design and also a Heat Controller Temperature Sensor to monitor the exact temperature of the room. Now it is also available with HomeKit. The FIBARO Heat Controller is an intelligent thermostatic head, which controls the temperature in the room using the in-built or external sensor and regulating the heat level automatically, according to your individual preferences. It can be mounted without tools on three types of thermostatic radiator valves. You can create heating schedules via the Homekit app to easily manage temperature throughout the week. You can also set the temperature manually, remotely and using voice control Siri. With the additional FIBARO Heat Controller Thermostat Temperature Sensor it is even more precise in adjusting the right temperature in your home. Related links to "FIBARO Starter Pack Heating (Heat Controller + Temperatur Sensor)"